Several more can be had entering specific search terms but I believe those three offer different software edit strategies to arrive at their final results as well as advanced to quite simple hardware capture setups. What I meant by source space is the actual RGB numbers that show up in ACR which is linear RIMM which uses ProPhotoRGB colorants. The main point is using a DSLR's internal A/D converter to write the source Raw for ACR to formulate the preview under the hood starts out far more accurate especially coming off a Canon which are known for their accurate looking captures with regard to hue/saturation. 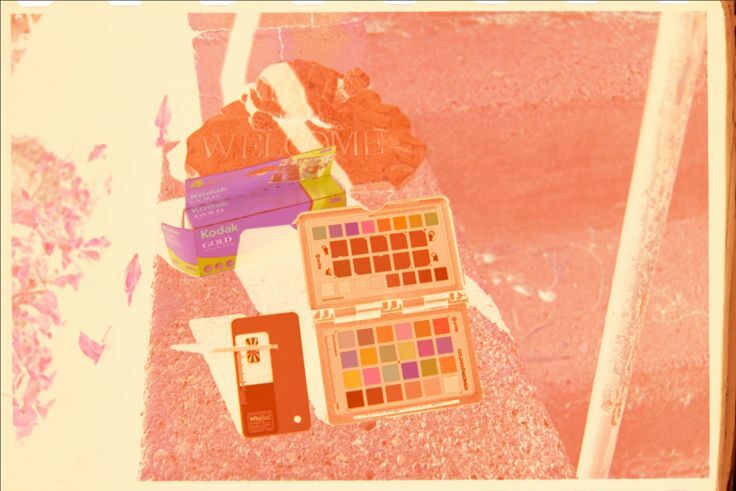 Economical flatbed scanners (my Epson 4870) for me have always been strapped with not so desirable color conversion software that delivers somewhat dull results unless you get into elaborate Vuescan/Silverfast linear processes in Photoshop as you're doing now. Also you can't build an ICC profile for color negative film so accuracy of how the software interprets color is anyone's guess. But at least working in ACR on DSLR Raw files gives the option to use DNG profiles which you might look into creating to see how close it gets you after inverting to positive as a better starting point. It would be interesting and informative if you posted results using your processes on several different frames and film brands to get a gauge on consistency and complexity. When I did the "capture as positive" on Kodak UC 400 negs I'ld get over blown saturation after inverting especially flowers but OK results on other scene types. They do seem to make it seem easy, don't they. I use somewhat more exacting capture methods and I always work from RAW and work in a large color space at 16 bits until I'm done. I do manual focus using 10x liveview, focusing on the grain. Starting with an 18 megapixel 60D, I can usually get 8-10 megapixels worth of detail out of negatives. I'm in the process of writing up the methods I use. 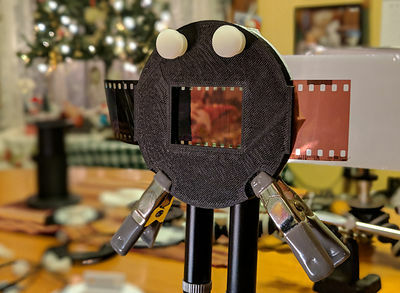 I haven't written up how I capture the images yet, but I use a Canon 60D + Canon 60mm macro lens and a PhotoSolve Extend-a-Slide to hold the negatives. I use a custom version of the PhotoSolve negative carrier. Right now I use four CRI 93 daylight balanced CFLs in a softbox, with two additional stops of Rosco #2026 diffusion filter suspended about 1/2 inch from the front of the film. This diffusion reduces the effect of scratches. Also you can't build an ICC profile for color negative film so accuracy of how the software interprets color is anyone's guess. Canon cameras very well may convert color better. A photographer on a different forum said that he spent years trying to photograph his wife's artwork (she is a professional) with a Nikon camera. He said that he didn't get acceptable color until he switched to a Canon 50D. But at least working in ACR on DSLR Raw files gives the option to use DNG profiles which you might look into creating to see how close it gets you after inverting to positive as a better starting point. As I said, until I read what Bart said about the importance of doing the initial white balance adjustments on a linear RAW conversion (earlier in this thread), I had been opening up the RAW files of the camera scanned negatives in ACR, adjusting the R, G, and B white and black points in ACR's point curve tool, exporting as ProPhoto 16 bits to PS and using PS's Curve tool to finish the conversion. Some conversions are easy. Others are hard. After reading what Bart said about not using ACR because it doesn't expose a linear RAW conversion, I tried to find the best way of doing a linear RAW conversion. (Covered in previous posts in this thread...) The DPP approach works best. I went back and revisited some of my past negative conversions and I think that the DPP approach converges to decent looking color faster than the ACR approach. I think, but I need to do more testing. I have experimented with tweaking DNG profiles with the Adobe DNG Editor. This is sort of a last resort because it adds time to the workflow. But a tweaked DNG profile will work for other images that were taken in the same light. And film stock. Most of this was written while this thread has been progressing. Comments are welcome! I'm planning on adding to my web pages. The pages thus far cover two negative conversions. I supply the RAW files so you can try to duplicate my conversion. Or improve on them. I know this is an old thread, but I have referred to it several times in the past for information. 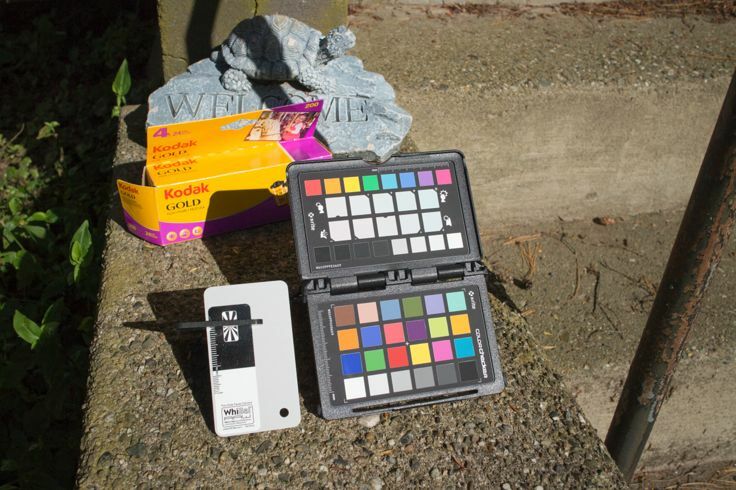 With the April 2018 addition of profiles, we now have a way to invert and color correct negatives with one click in Lightroom. Please take a look at my blog post for the details. This looks really promising. If you experiment with it please post some results and give us your impressions. I shall likely do so too, but it will be a while. At the request of Todd Shaner over on the Photoshop Family forum, I created a couple of sample profiles from some Portra400 images outdoors. I am doubtful that these will work for someone else because I think the LUT will be dependent on your particular scanning setup, but it will be interesting to see what happens. 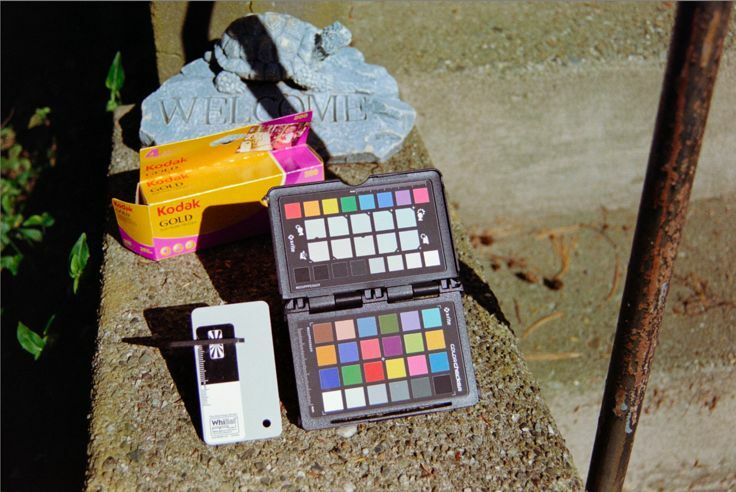 For my test, I was able to use one of these 2 profiles to color correct about 90% of the images on 3 different rolls of Portra400 film. The other images were under different enough lighting conditions, i.e., indoors and pre-dawn, that the profiles did not apply. Most of the images required nothing more than a minor exposure adjustment to look great. Note that the negative MUST be white balanced under the Adobe Standard profile before applying the inversion profile. I use the unexposed frame outside the image for white balance. I know this is an old thread, but I have referred to it several times in the past for information. Me too, even though a large part of the thread consists of me asking questions to Bart and attempting to understand what he told me. My reply on Reply #17 on: March 07, 2014, 03:00:30 PM shows several examples of my conversions. I put a distillation of the conversion methods Bart told me on http://www.frogymandias.org/imagery/. Which are several ways of converting using Photoshop without using any kind of profiles. And to recap again, my "calibration" was me doing several sessions of shooting different types of film along with shooting the same scenes on digital. The digital images were the reference. My negative conversions were attempts to convert the negative so it matched the digital image. I found that this added a level of control that is missing from attempts to convert old negatives without having a corresponding digital image to compare to. My page walks you through converting several negatives using Photoshop using several different methods. I give links to the raw files so you can follow along and reproduce the conversions I did. Which gives you a baseline of conversion techniques that you can apply to your own negatives. I am revisiting this because I am still trying to improve the process. 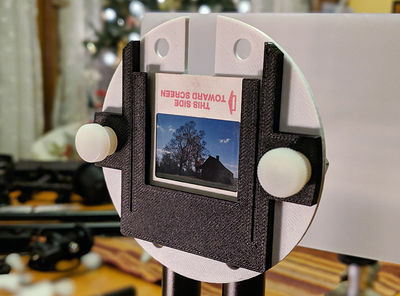 I put together a universal camera scanning apparatus that works for any combination of DSLR/mirrorless body and macro lens using widely available rail rig components, along with slide/negative carriers that are 3D printed. The parts for the rail rig cost around $100 from Amazon.